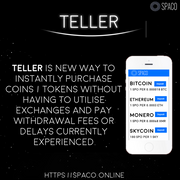 Quote: SPACO, is a distributed next-generation network protocol, which significantly improves on the current HTTP/HTTPS internet protocols. 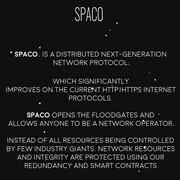 SPACO opens the floodgates and allows anyone to be a network operator, Instead of all resources being controlled by few industry giants. 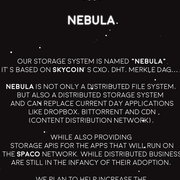 Network resources and integrity are protected using our redundancy and smart contracts. 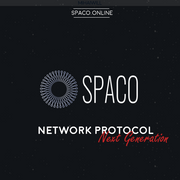 SPACO have a great advantage being distributed along with its reliability and also its privacy protection in relation to the current Internet. Oh man, I missed out. And is that really an airdrop if it's just being given to those ask for it; aren't they typically sent to all addresses and the size based on the holdings of each wallet? (01-14-2018, 06:40 PM)DavidVas Wrote: Oh man, I missed out. And is that really an airdrop if it's just being given to those ask for it; aren't they typically sent to all addresses and the size based on the holdings of each wallet? Do you have any experiences with it you'd like to share? I'm quite curious! So glad I got in on the airdrop and presale!